Transfluent has been growing 8 percent per month for the past 30 months and reached EBITDA profitability in 2016! We have changed the way businesses handle their translation needs. Please find pitch updates at the bottom of the pitch. 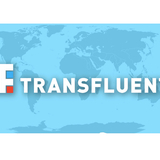 Transfluent was founded in 2011 to deliver language translations to businesses and brands that need high quality work as fast as humanly possible. Originally targeted for translating social media messages, Transfluent has transformed into a cutting-edge translation agency that provides efficient, high quality translations of all types of content for businesses. We compete head to head with other large traditional translation companies. For the past 2 years, Transfluent’s product revenue has been growing at an average of 8 percent month-to-month (2.5 times annual increase), and the growth rate has recently been increasing. 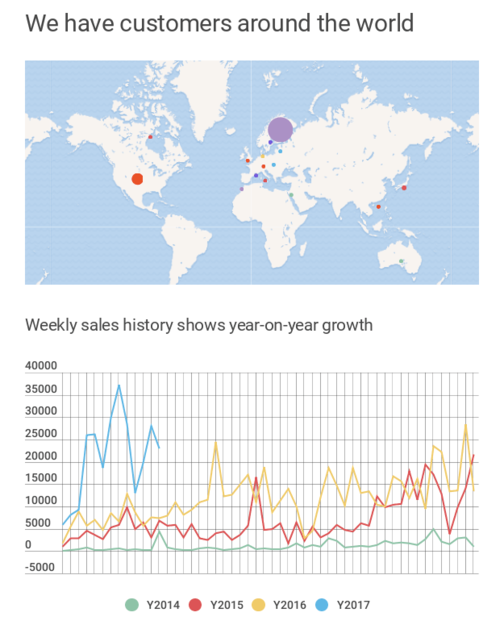 For the first 3 months of 2017, Transfluent’s product sales revenue has been growing at 3 times compared to the same month in 2016. In 2016, we had 473 paying customers, generating about 930k EUR of total revenue. Some of our biggest customers in Finland are Barona Group, Dodreams, Elisa, Fonecta, Ivalo, Kämp Collection Hotels, Sumoing, Tieto, Visma and Yousician. Globally, our clients include some of the world’s most well-known companies, such as Cap Gemini, Pfizer and Pinterest. Transfluent has changed the way businesses use translation services. Using translation services has traditionally been something everyone avoids, as the user experience has been quite tedious to say the least. Bigger companies usually have had translation departments, where a dedicated team of people handle the requests and pass them on to translation companies. This is of course terribly inefficient. We have turned the situation around—ordering translations through Transfluent is so fast and easy, translations become a natural part of everyday business. 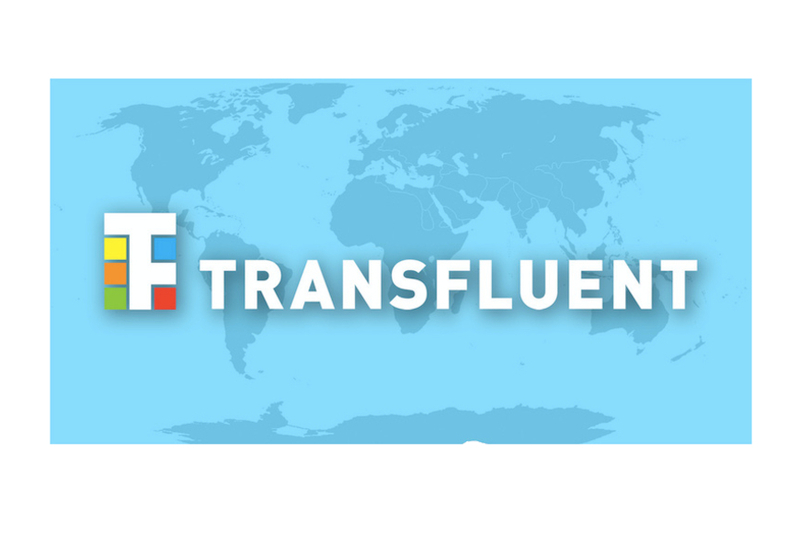 For large companies, Transfluent eliminates the need for a translation department. Each employee can place orders directly, and those orders are handled quickly, all while adhering to the budget rules and style guides agreed upon with the client beforehand. This process results in significant cost savings, not to mention a speed advantage, which—in the best case—can boost time-to-market by many weeks. Transfluent was founded on the belief that languages are important, and every company deserves a chance to make their products and services available in all markets. Similarly, all consumers deserve to get service in their own languages. We have boldly followed our vision. In 2012, during the U.S. presidential election campaign, Barack Obama’s campaign used Transfluent to translate the president’s tweets from English to Spanish. This year, after Donald Trump was elected as the U.S. president, he removed all Spanish language from the White House website and social media channels. We decided to do some good, and set up real-time translation for Donald Trump’s Twitter feed, as well as for the entire White House website. We now own and operate the @DJT_ES Twitter account and the www.LaCasaBlanca.com website. The website is a perfect showcase of the power of Transfluent: a 100% clone of the White House website (www.whitehouse.gov) in the Spanish language. All changes and additions are applied in real-time. We use professional freelance translators. Because we work with experienced industry professionals, most of our translators are also working for other translation companies. In fact, the pool of skilled translators is finite, and regardless of which translation company you end up using, the odds are that the same translators will be doing the actual translation work. Since most translation companies share the same translator resources, the key differentiator is the technology platform for placing orders and managing translations. This is where Transfluent is miles ahead of the competition. Transfluent is based on a powerful resource management platform, which is architected and developed in-house. The platform understands nearly all common file types. Files can be uploaded by customers just the way they are, without having to convert them into any other format. The Transfluent system converts the file to a translator-friendly format and, once the translation is completed, back to the original file format. The platform manages a large number of translators in a fully automated manner. When a customer places an order, it is assigned to the most suitable translator instantly. As soon as the job has been completed, the translation is delivered to the customer. During this process, nobody at the Transfluent office needs to be aware of the job. Transfluent admins are only alerted if something unusual happens, such as a task being at risk of being behind schedule, or a file that appears to be broken. The Transfluent platform is built from the ground up to be easily connected to other platforms. On the publishing side, we have integrations for Magento (the world’s most commonly used e-commerce platform) and Zendesk (a popular customer service ticketing system), and an API that allows custom integrations to any service. On the ordering side, we integrate directly to Basware, which removes much of the accounting burden associated with translation orders. When an employee of a large enterprise places a translation order via Transfluent’s interface, we can automatically create and process a purchase order for the job. In a large organization, the savings of automated purchase order processing alone can be close to €100 per order. In short, Transfluent is a unique combination of technical know-how and translation expertise. Transfluent excels especially in two areas: speed and convenience. When comparing Transfluent to traditional translation companies, we typically get the job done within minutes to hours, while traditional providers spend anywhere from several days to weeks for the same tasks. We do this because of better tools and much smarter resource management, without sacrificing the quality of the work. Transfluent offers a convenient online user interface for placing orders. Our customers upload documents they need translated, any time that is convenient for them. They get an instant quote, and upon accepting the quote, the work kicks off right away. Through the online system, the customers can follow progress in real-time, send messages to the translators and access the history of their past translations. Everything is self-serve, but we have customer service available too. Ninety-nine percent of the time customers prefer to help themselves, knowing that if they ever need help, we are always available. This creates an extremely scalable system that can handle a large number of customers with minimal overhead, while still providing a fantastic customer experience. In fact, the combination of speed and quality is not only serving existing translation needs better, it is opening new markets where translation was previously not considered possible. A great example of this is our solution to translate customer support messages—instead of hiring a team of customer service representatives who speak dozens of languages, you can now have a team of English-speaking customer service agents responding to customers in virtually all the world’s languages. Previously, many companies only offered customer service in a handful of languages, but with the help of Transfluent they are now able to serve anyone, in any language, without having to prepare for it beforehand. When it comes to translation service, quality is always important. Comparing Transfluent to the rest of the translation industry, we always aim to be as good or better than everyone else. The most important part of the quality promise is our carefully selected team of translators. We have a core team of several hundred translators who handle the majority of our translation tasks. New translators are added any time we detect a potential bottleneck with delivery times. We get a lot of applications but accept only a small portion of applicants. One reason is that we want to ensure sufficient supply of work for all of our translators, and another reason is that we want be picky and choose to work with only the best. Our method for automating the resource management gives a surprising quality advantage—since we don’t have any overhead for every order that is placed by any given customer, we can spend a great deal of time and effort choosing the translators who work for each customer. If the customer happens to have particular needs for areas of expertise, we can easily accommodate their requests. We only do this setup once, and after that the customer goes on autopilot; any time they place an order, the work is automatically assigned to those hand-picked translators who know exactly what the customer needs. One of the areas of expertise where we are particularly strong is game translations. 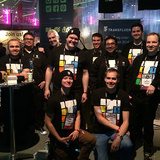 This is partly due to Finland’s active game development industry and partly due to the background of Transfluent founder Jani Penttinen in the game industry. 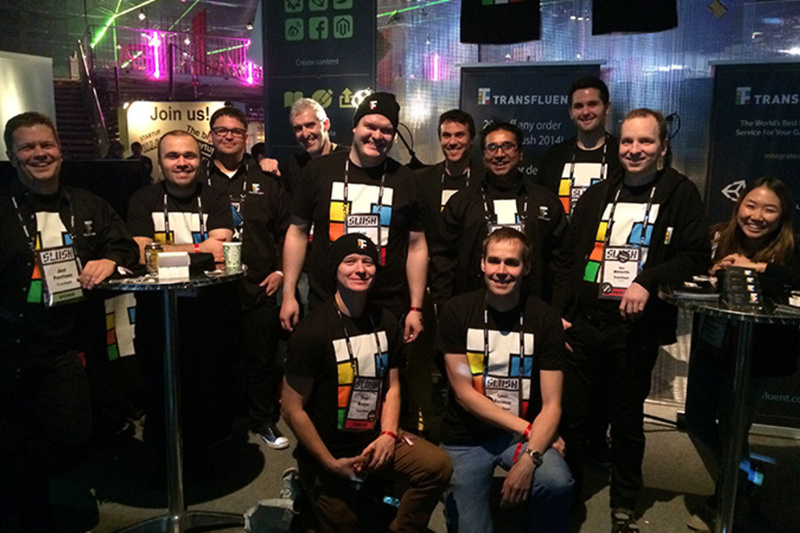 Many of Finland’s best-known game developers are already our customers. A huge demand exists globally for game translations, particularly to the Asian and Chinese markets, and we are very well positioned to capture a good chunk of that business. We have three products in the market: Translation Widget, Magento translation extension and Zendesk translation app. All of our products link to the same Transfluent backend service, which provides professional quality language translation on demand. Our most popular product is the Translation Widget. It is a simple, yet powerful online interface for submitting translation tasks. The Widget provides instant quotes and accepts credit card payments (can also be configured for invoicing and supports direct integration to Basware for handling billing with large enterprises). The Widget is a self-service platform that allows our customers to manage their translation jobs 24/7. Our Zendesk translation product is used by large companies, such as Pinterest, for translating customer support messages. The Magento translation extension is used by e-commerce sites for translating entire product catalogs. Our customers include small and large companies, but much of the revenue comes from large enterprise customers. Our sales efforts are geared toward big companies. Big companies are savvy customers, who have a lot of experience in purchasing translation services. These types of customers are the best fit for us as they immediately understand the value of Transfluent service. 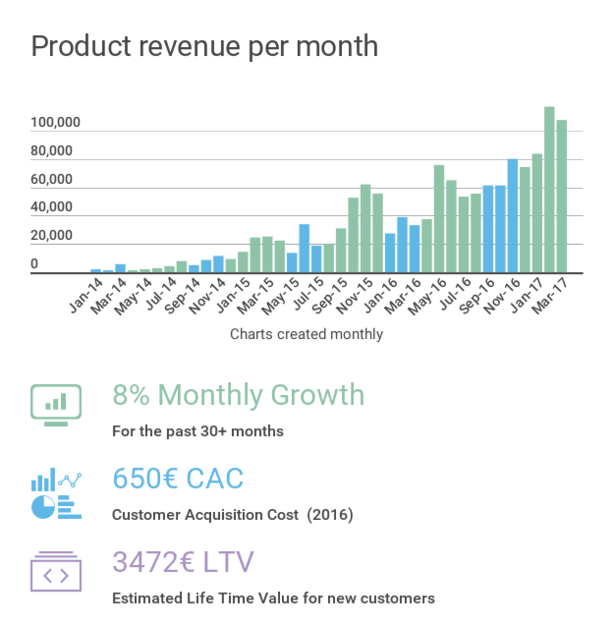 In 2016, our Customer Acquisition Cost (CAC) was 612 € and customer Life Time Value (LTV) for a new customer was estimated at 3,234 €. This estimate is based on an average annual spend of 1,972 € per customer with an annual churn rate of 61 percent. Our near-term focus, along with increasing sales volume, is to improve the churn rate. Our business model is based on a per-word charge for translation services. Professional translation service costs 0.18 € per word, which is about average for translation industry pricing. 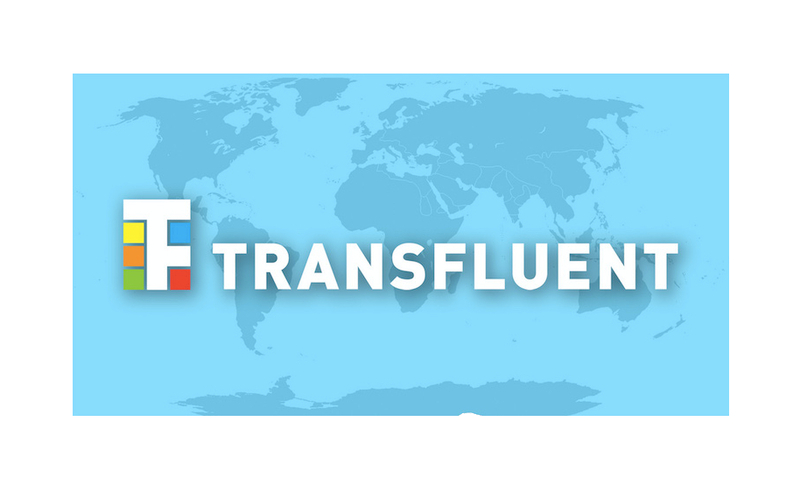 Unlike traditional translation companies, Transfluent doesn’t charge any minimum fees. If a customer only needs to translate one sentence, the cost can be as low as a few cents to a few euros. The reason we are doing this is because it is better for our customers. Most translation orders are several hundred euros, but sometimes a need exists to get something small translated urgently, and we want to be a translation partner who is available to help for all needs. Our customers reward this with high satisfaction and loyalty. The spend per customer has been steadily growing, and in the first quarter of 2017, the average spend per customer has already exceeded 500 € per month. We have proven in the past year that we can convert customers with high probability when we get to talk to the decision makers. The sales story is strong. We have also proven that we can retain even the most demanding customers. And, the quality of service matches the best in the industry. What we need now is more resources at the start of the sales funnel to acquire more customers and scale up the business. Globally, the translation industry generated about 37 billion EUR in 2016. The translation industry is growing at about 7 percent per year. The largest global translation companies, Lionbridge and Transperfect, command about a 1% share of the total industry revenue. Translation industry in Finland is generating about 100 million EUR of revenue per year, and the biggest companies (AAC Global, Semantix and Lingsoft) each generate revenues of roughly 10 million EUR per year. Our near-term target is to become the largest translation company in Finland over the next 2-3 years. At the same time, we already have international customers, and we are preparing to expand operations internationally. Our long-term business goal is to be the world’s first translation company to have global annual revenues of more than 1 billion EUR. Transfluent is managed by its founders, Jani Penttinen (CEO) and Tomi Heiskanen (CTO), who have worked together for 9 years. Prior to Transfluent, the two built together a social media start-up called Xiha Life, which allowed people from different parts of the world to communicate together over language barriers using machine translation. 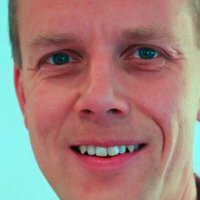 Jani Penttinen is an experienced serial entrepreneur and language industry executive. Prior to his entrepreneurial career, Jani was a game developer and one of the world's leading 3D engineers in the early era of 3D graphics. Jani has lived on 3 continents and is constantly traveling the world. 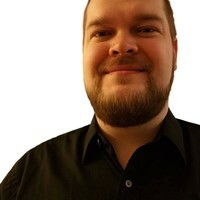 During his career, Jani has managed companies in the United States, China, Singapore, Switzerland and Finland, so he knows all about the pains of getting documents translated! Jani lives in Silicon Valley, Calif., with his wife and 4 children. He is the mastermind behind Transfluent and in charge of Transfluent's global business. Over the years, Jani has successfully negotiated deals with the largest, most demanding companies around the world. Tomi and Jani have been working as a team since 2008, and this is their second start-up. Previously, Tomi built other successful start-ups, such as ii2 and Petsie, so he is a serial entrepreneur to the heart! Tomi has architected Transfluent's revolutionary platform and leads the development. Tomi is one of the most experienced engineers in the world when it comes to developing technologies around languages. His previous project, Xiha Life, was a social network where more than 20 million people came together to communicate over language barriers with the help of machine translation. 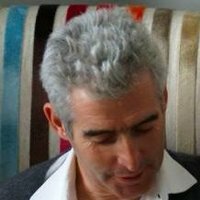 Lyndon is a businessman and an angel investor based in Stockholm, Sweden. He was formerly an investment banker. Ari sold his company and moved to Silicon Valley well over 10 years ago and is one of the most experienced Finnish entrepreneurs in the San Francisco Bay Area these days.